Anyone saw this function on Google? 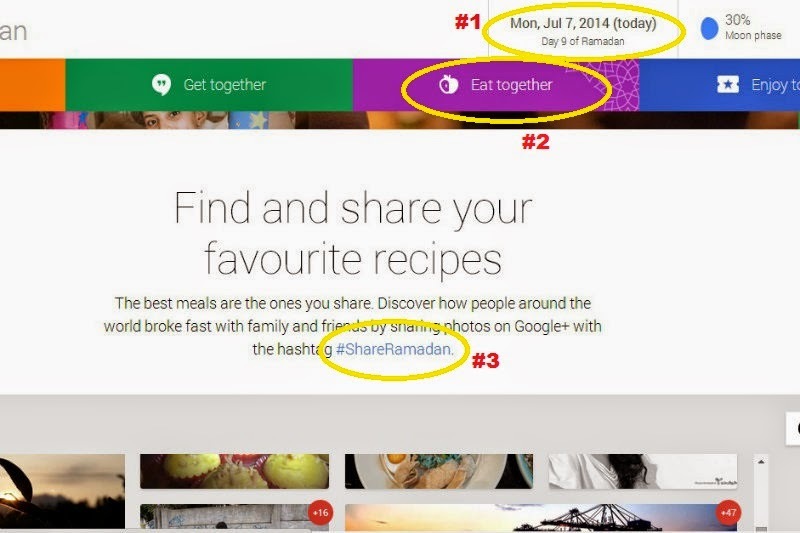 The "Plan, share, and enjoy this Ramadan with Google" Program and "#ShareRamadan" hashtag campaign? 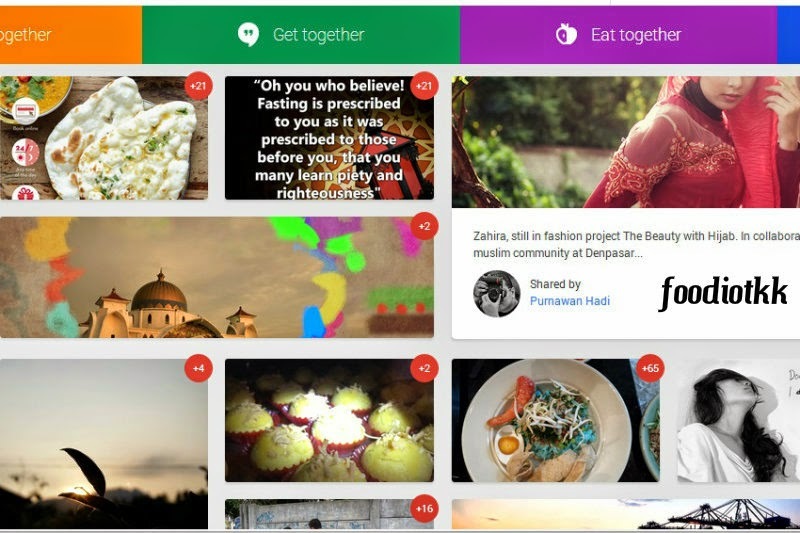 #2 The "Eat Together" Tab - this is the reason why I am sharing here now! It's all about FOOD at Foodiotkk.com bah! 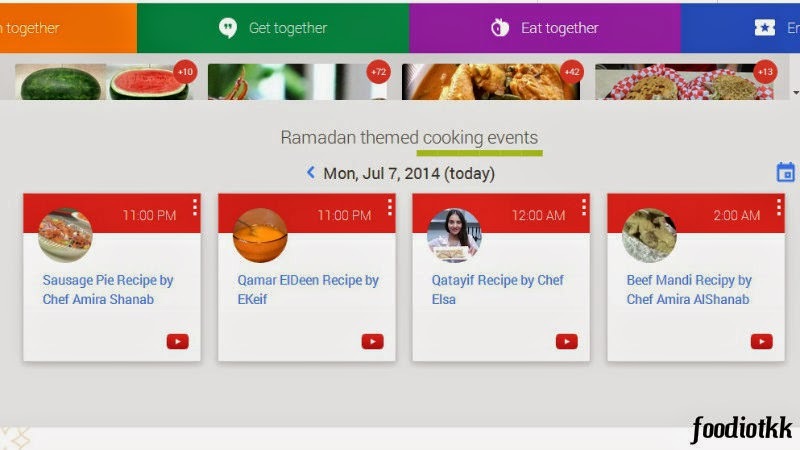 There are other tabs / categories in this Ramadhan event too! Such as "Plan Together", "Get Together"...etc. You go explore yourself OK? Click into the link and you will find something like this. 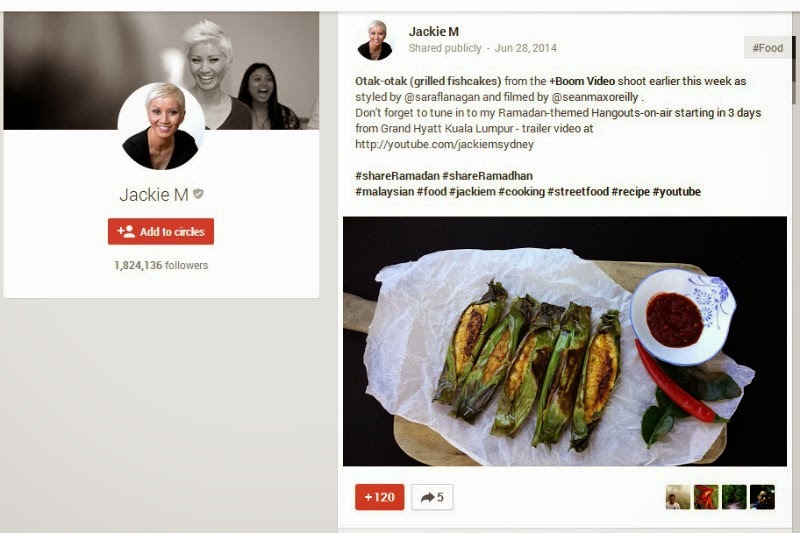 For those who never see this before -- it is Google Plus! 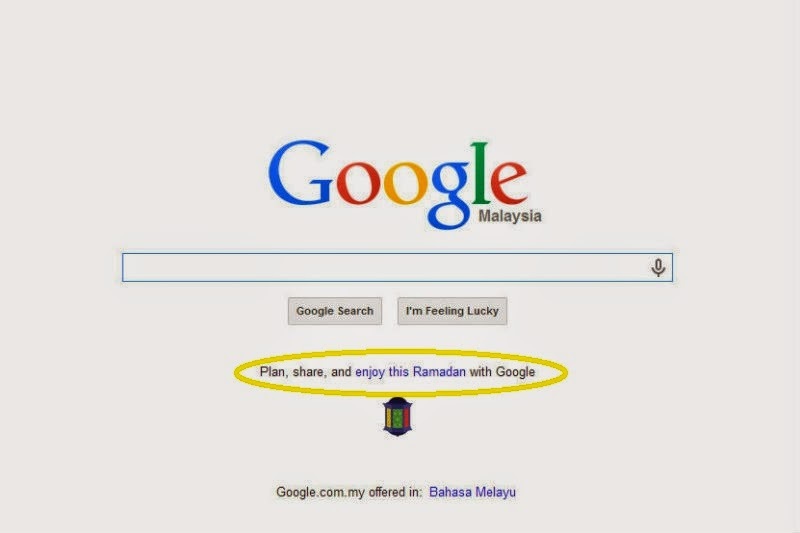 That's the reason why I said: This program are tend to increase the popularity of Google's own Social Media. In short - they try to be another Facebook!